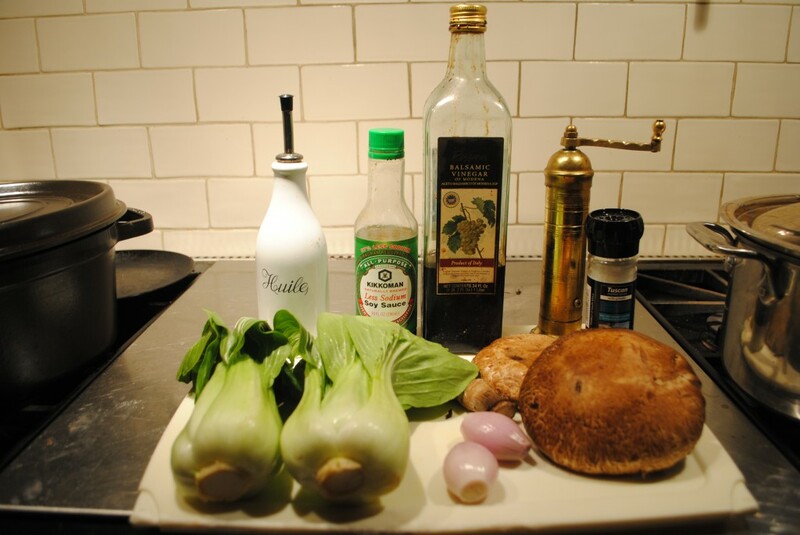 This recipe for Steamed Bok Choy, Mushrooms and Shallots is a variation of the Steamed Bok Choy and Collard Greens recipe in Cook Your Way Through The S.A.T. 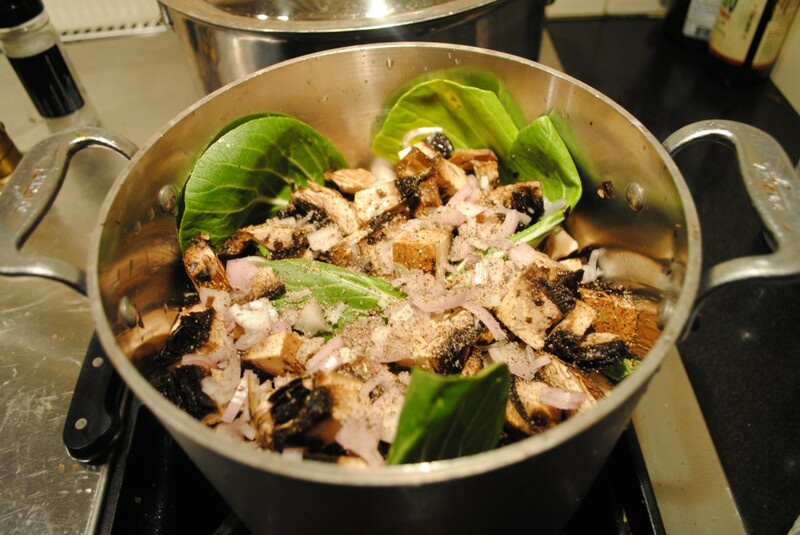 No ingredient is SACROSANCT in cooking . 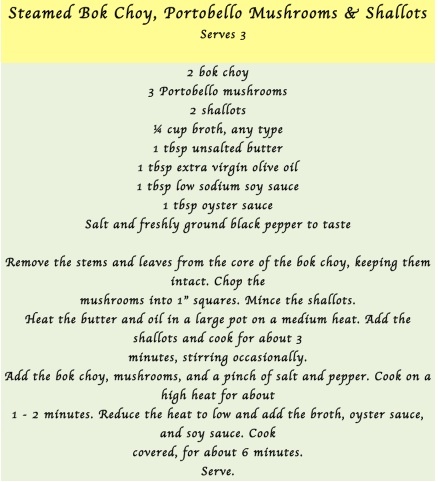 . . you can always substitute and still end up with a great dish. “Double, double, toil and trouble. Fire burn and CALDRON bubble.” (Thanks to William Shakespeare and Macbeth for SAT vocab and to my brother Ross for helping me out with the quotation). 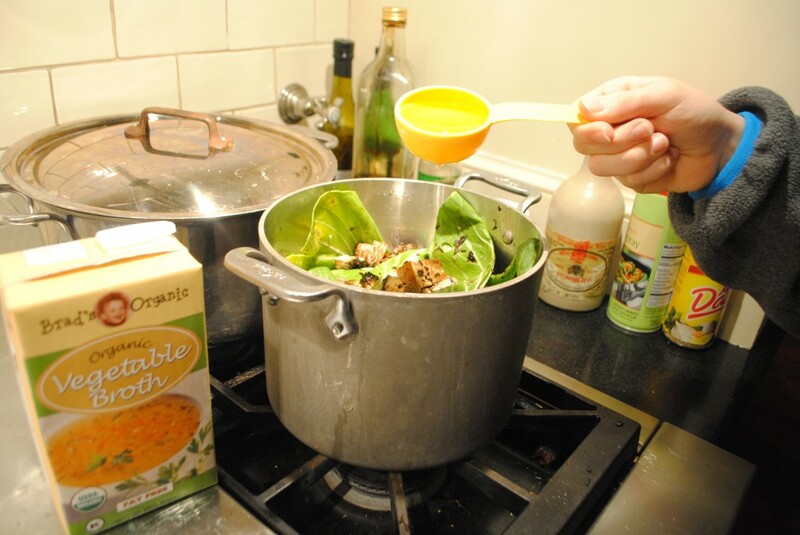 Chicken broth is a good ALTERNATIVE to my choice of vegetable. 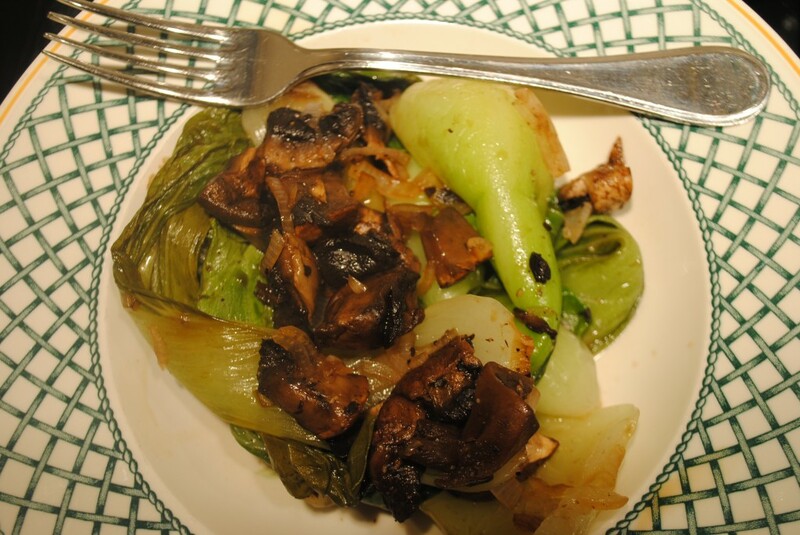 Steamed bok choy, portobello mushrooms and shallots can be served as a healthy snack, side dish, or, over rice as a main dish. Don’t forget my kale chips for your Superbowl party! This entry was posted in First Course (Appetizers), Healthy Snacks, Main Course, Recipes, Side Dishes, Vocabulary. Bookmark the permalink.